Louis Vuitton Footwear Preview For Spring/Summer 2009! 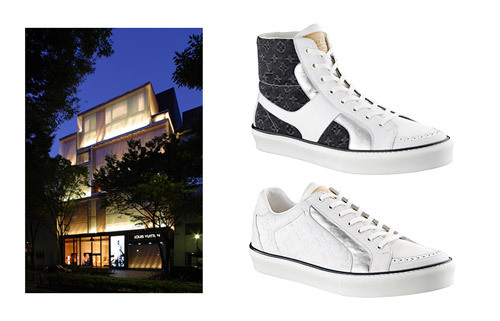 The Louis Vuitton flagship in Omotesando, Tokyo is preparing a relaunch of their store, which will feature a Spring/Summer 2009 Collection of LV footwear.Â The store will open doors on November 23rd and give customers a full lifestyle approach which includes a bar within the complex. Many of the sneakers from the new line will have many similarities in the design and shape. For all those interested in visiting the store, check out the address below.